Rafting season is underway on Pennsylvania’s Lehigh River in the Poconos Mountains. Major thrills and whitewater are a short getaway away. 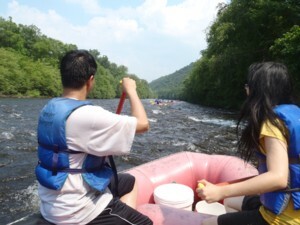 We were completely surprised by the quality of the rafting on the Lehigh River, which cuts through Lehigh Gorge State Park. Whitewater Challengers, one of the biggest raft operators in the area (they send out some 350 rafts a day), offers a superb program – 16 trips with up to 20 rafts a day, satisfying for those who want a tame, swim-splash-fun trip delightful for families, to those who want to a true challenge. The most exciting trips are on Dam Release weekends, when the river provides Class III rapids. The rafting here, on a Dam Release weekend was plenty fun. Their method is to have the guides accompany in kayaks, so somebody on the raft is designated to steer. That got to be me, and was the most fun about the trip on the Class I river (the easiest). I was green with envy, though, as I watched the kayakers coming down, some on sit-on-top Ocean Kayaks like my own. Next time, I will try that, and this portion of the river would be a great place to learn whitewater kayaking, where you have to learn how to do a quick in-water release. Whitewater Challengers has the most amazing set-up, tucked into the woods about 30 minutes from where you begin your rafting. So when you arrive and register, you get a bus “transfer” that is color-coded for your trip; you pick up your life-jacket. If you forgot anything (sunscreen, hat) there is a well-equipped store. You can rent a wetsuit (we didn’t need it the day we rafted). It is all so extremely well organized. While you wait, you can have breakfast there (pre-paid or pay-as-you-go) underneath a pavilion. You get to look around – there is a camping area (there were a load of boy scouts when we visited); a zip-line course in the trees. Whitewater Challengers also offers mountain biking trips – and you can combine various adventures together. We took advantage of coming the day before the rafting trip to sample the 25-mile rail-to-trail gravel path through the Lehigh River Gorge State Park which follows the river (we saw rafters going down from a different company that operates right from White Haven). Whitewater Challengers operates some 16 rafting trips with up to 20 rafts per trip. In addition to the rafting trips on the Lehigh River, Whitewater Challengers also operates rafting trips on New York’s Hudson River Gorge, from North River in the Adirondacks (which can be a Class IV trip, depending upon season), the Black River Canyon out of Watertown, Salmon River out of Pulaski, and Middle Moose River, out of Old Forge. Contact Whitewater Challengers, 800-443-8554, www.whitewaterchallengers.com. Historic Hotels of Europe (HHE) is introducing a new free app that enables travelers to search for traditional and authentic hotels throughout Europe, to look up availabilities and to book their stay. Historic Hotels of Europe consists of 20 historic hotels organizations representing nearly 700 unique and handpicked historic properties throughout Europe. They are all presented on the federation’s website http://www.historichotelsofeurope.com. Content and search facilities of the website are now combined with the powerful functionality of the iPhone. Through the new iPhone app, you can search by situation (hotels “near me”), kind of lodging (castle, palace, manor house, boutique…), activities and location (seaside, mountains, city…). Interactive Google maps help travelers to find easily the nearest hotel in the area. Once the hotel of your dreams is located, you also can easily access all relevant information about the property, see three pictures, check availabilities, and call the property or tbook online. The app also gives you access to all information about the umbrella federation, Historic Hotels of Europe, the different historic hotels organizations and special offers. The new iPhone app is free and will be available on http://www.historichotelsofeurope.com and the App Store by the middle of July. MSC Cruises has special deals for AARP members and family cruisers. 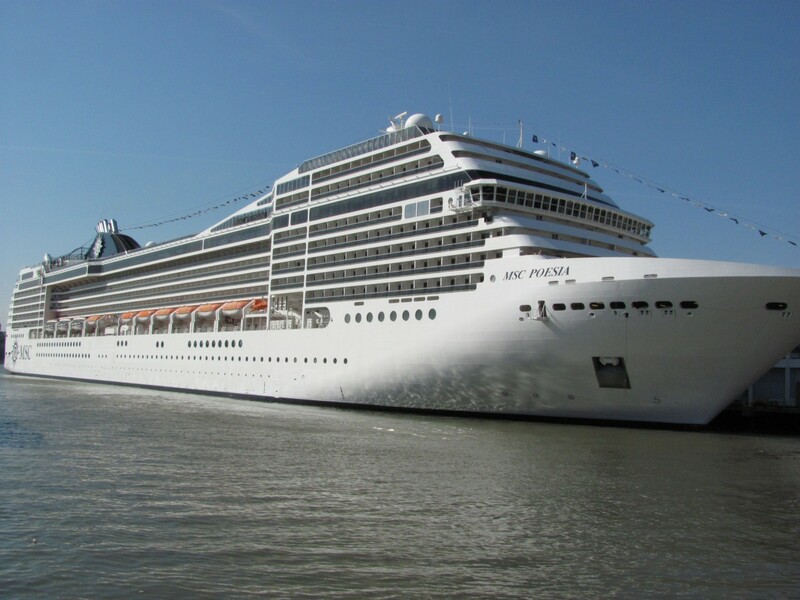 Here, the MSC Poesia, during its first call at New York City’s port (© 2010 Karen Rubin/news-photos-features.com). MSC Cruises is making available to AARP members savings of more than 50 percent with rates from $859 per person on select itineraries in its Distinctive Collection featuring positioning sailings from various locations all over the world. Positioning itineraries depart from and arrive in different ports and offer an array of cities in many countries typically unavailable on cruises. Pre- and post-cruise stays and excursions are available at an additional cost. Kids 11 and younger cruise free when sharing a stateroom with two adults. Restrictions apply. Offer cannot be combined with any other offer or promotion including standard AARP member offers. Third/fourth adults and kids 17 and younger cruise free when sharing a stateroom for select fall foliage, Canada/New England cruises onboard MSC Poesia; reduced rates begin at $599 per person, double occupancy through July 31. 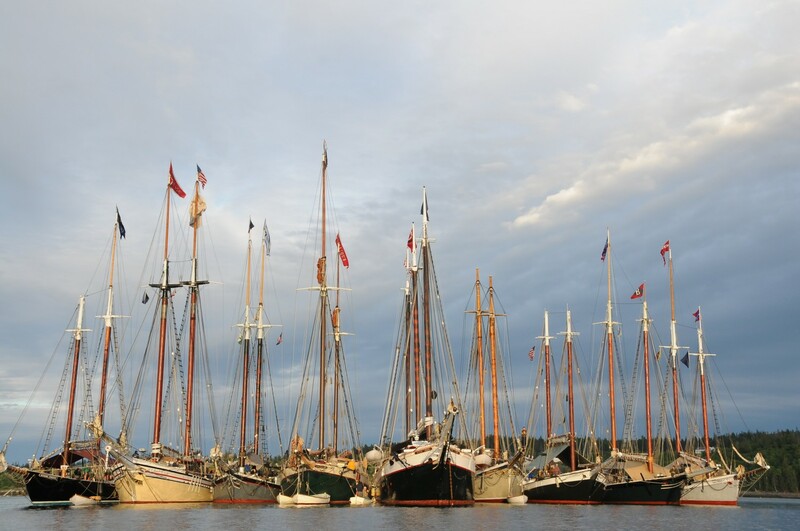 This latest promotion offers affordable rates for guests of all ages to recognize the beauty and charm offered at the ports along the Canada and New England coastline. Fall foliage cruises vary from 6-10-nights and depart from New York City and Quebec City. Prices listed below are per person based upon double occupancy with third/fourth person in stateroom cruising free-of-charge. Government fees and taxes for all guests in stateroom are additional. 6-night “Maple Leaves & Mansions” cruise from Quebec City and calling in Sydney, Nova Scotia; Boston, Massachusetts; Newport, Rhode Island; and New York, New York. October 23; rates begin at $599; was $899 for a savings of $300 (plus $81.40 pp.). MSC Cruises has the most modern fleet in the world with 11 ships: MSC Magnifica, MSC Splendida and MSC Fantasia, MSC Poesia, MSC Orchestra, MSC Musica, MSC Sinfonia, MSC Armonia, MSC Opera, MSC Lirica and MSC Melody. The fleet cruises year round in the Mediterranean and seasonally in Northern Europe, the Atlantic Ocean, the Caribbean, US and Canada, (Fall 2010), South America, the Indian Ocean, and South and West Africa. For more information, visit www.MSCCruisesUSA.com, call 877-665-4655, or contact a local travel professional. A new family audio tour of The Breakers emphasizes the people and how they lived within the "summer cottage," a symbol of wealth and a base of power in the Gilded Age © 2010 Karen Rubin/news-photos-features.com. We have noticed an interesting change when visiting the Gilded Age mansions of Newport, Rhode Island: more use a self-guided audio tour rather than the timed tours presented by docents. The new audio tours are actually an improvement – you can pace yourself, spending as much or as little time as you like looking in this room or that, and you can punch in numbers to get much greater detail on various subjects that interest you. But most interestingly is that the audio tours incorporate many personal interviews with people who had a connection to the houses – they might have visited the house as a child, or had been a child of one of the staff; some are readers enacting the words of memoirs or letters of the historical figures, and historians offer illuminating commentary that puts the architecture, art, and social mores into context. The audio tours also incorporate wonderful sound effects – period music, the sounds of a busy kitchen- which help transport you back into that era, and add that extra sensual dimension. And if you have an additional question, you can still ask one of the museum people who will know the answer or know who to ask (whereas questions in a guided tour can be illuminating but also can drag down the commentary). Now, The Breakers, the fabulous (an understatement) historic Vanderbilt summer “cottage” built by Cornelius Vanderbilt, is introducing a family audio tour experience, created to enable youngsters and parents to imagine themselves personally witnessing the history made in this great Gilded Age chateau. As the house shares its secrets, you meet family members and staff, as well as fanciful creatures like the friendly dolphin hiding under the grand staircase, the lions of the Music Room and the dragons in the Dining Room. You experience a summer day in the life of one of the Vanderbilt children, you meet the masters of the kitchen – Monsieur Le Chef and his colleague, The Butler. You take an imaginary slide down the grand stairs on a silver serving tray, listen as imaginary acrobats pile 50 feet high to measure the Great Hall, and learn all the “rules” the children had to live by at The Breakers. 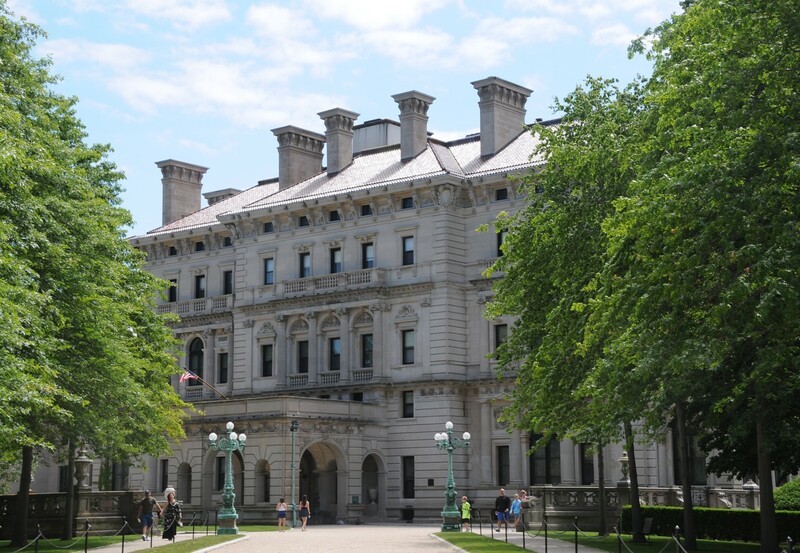 The tour has been created by The Preservation Society of Newport County based on a decade of research, oral history from family members and staff who lived there as children, and the popular main audio tour “The Breakers Revealed” which premiered in 2009. It uses extensively-documented historic facts to launch young people’s imagination on a flight of fancy through one of the 19th century’s grandest private residences, and introduces them to a time and place far removed from the present day. Using imagination, the tour introduces themes of architecture, design, décor and the importance of historic preservation from a uniquely personal point of view. The tour is offered continuously at The Breakers as an option on the Explorer© audio tour players provided to all visitors at no additional charge. Presented in partnership with Antenna Audio, the world leader in museum audio tours, and Sonalysts Studios in Waterford, Connecticut, the 45-minute experience can be enjoyed by youngsters as their parents take “The Breakers Revealed” audio tour which follows the same route and timing. Visitors can stop as often as they like as they travel through the house, and can explore more information at subject stops along the route. The Preservation Society of Newport County, Rhode Island is a non-profit organization accredited by the American Association of Museums and dedicated to preserving and interpreting the area’s historic architecture, landscapes and decorative arts. Its 11 historic properties—seven of them National Historic Landmarks—span more than 250 years of American architectural and social development. For more information, call 401-847-1000 or visit http://www.NewportMansions.org. And to feel like a Vanderbilt, stay in the newly opened Vanderbilt Hall, an actual mansion built in 1909 by Alfred Vanderbilt, the great-grandson of “Commodore” Cornelius Vanderbilt, reinvented as a mansion hotel in 2010 by hotelier Peter De Savary (Vanderbilt Hall, 41 Mary Street, Newport, RI 02804, 401-846-6200, 888-826-4255. http://www.vanderbilthall.com). And for more information on visiting Newport, Rhode Island, call 800-326-6030 or visit http://www.GoNewport.com. Our correspondent, Eric Leiberman of Long Island, just completed a 10-day camping safari trip to Botswana and Zimbabwe, as a prelude to spending two months in South Africa. The game-viewing trip, “Backroads of Botswana” organized by Gecko’s Adventures of Australia and and sold in the U.S. by Adventure Center, begins in Pretoria and goes to Khama Rhino Sanctuary, Maun, Okavango Delta, Chobe National Park, and ends at Victoria Falls in Zimbabwe. Among the highlights: Canoe the Okavango Delta; Khama Rhino Sanctuary; visiting Makgadikgadi Pans National Park, Nxai Pan salt flats, The Chobe riverside, Chobe National Park, Botswana and Victoria Falls. 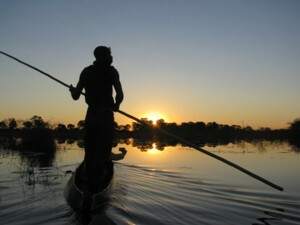 In the Okavango Delta, which is a floodplain, the only way you can get around is by mokoro, a traditional dugout canoe made out of the Mokoro tree. We traveled in the Delta for 2 1/2 days with local Botswana people, who we got to know. There are no paths. You are walking through tall grass. You look right, left. You have no idea if there is a lion right next to you . We walked for 3-4 hours. We didn’t see lions – and I was contented with that. The area where you would you see lions is the Okavango Delta, part of Botswana which is arguably one of the best destinations to see actual wildlife. At the gameparks that people constantly think of for safari, the animals are wild, but are so accustomed to seeing people and vehicles, they aren’t acting the way they would. The reason there we didn’t get to see as many animals as usual is that they had the biggest flood in recorded history (rainy season just ended) – water levels were very high. That’s why we didn’t get to see many animals, because the animals don’t have to go to specific watering spots, because water is more plentiful. At one point, we came to a big body of water. We walked through the water up to our waist; you would get stuck in the mud, and it would be like sinking. When we were on the mokoros, there would be hippos in the water. They are dangerous…It’s happened before that a hippo submerges and rises and tips the canoe… They tell us if that happens, to swim as fast as you can away from the boat, because a hippo will attack the boat because it looks like predator. But what if crocodile where swimming away? We did singing and dancing with the local people. In Chobe National Park, which is all the way east of Botswana near Zimbabwe – there are more than 50,000 elephants. An unbelievable number of elephants, how close we saw them. We took a lot of trips at sunrise and sunset. We are literally among the animals. They’ve seen a lion in the camp … They have had elephants walk through the middle of camp. They tell you “what to do” things. So, when you are in your tent that night, you’re supposed to completely zip up because hyenas come into the tents – one guy’s face was eaten. Hyenas are cowards – they won’t attack something that is bigger. The only attacked the sleeping guy .. So if a hyena comes into tent, you throw your hands up in the air to make yourself as big as possible and it will run away. I would hear scratching at the tent at night – hear all this wildlife. At Victoria Falls, we woke especially early because I wanted to see the sunrise, but it was so overcast, we didn’t have a sunrise – It wasn’t as special as I thought would be. He did this thing, the gorge swing…. normally when you bungee jump, as you fall, you normally feel the resistance of the bungee and bounce and bounce until you stop. But with this thing, you are free falling, and you don’t feel any resistance, and at the bottom, a pulley goes all across the gorge… so you fall straight down, then swing back and forth… (I watched). I was surprised – I thought it would just be young people, but we had a 73-year old guy and a couple that was 68. There was also a couple who were on their honeymoon. There was just one other American (a girl from Seattle), the rest were from Australia and New Zealand. Weren’t you fearful camping with the animals so close by; traveling in the water in a dugout canoe with hippos and crocodiles, walking through such high water and tall grass? There were a lot of times that I felt uncertainty – such a new experience – kind of scary. I have a travel journal of what we did… was kind of funny – was thinking about the dangers of camping…but then seemed it was the reverse: thought about the dangers of living in a big city like New York- murder, automobiles, trains, and all these opportunities to get hurt; then you think about the wild, the lion that could eat you but in reality the city is far more dangerous place. My first day in Capetown, we woke at 5 a.m. and climbed Devil’s Peak mountain, which overlooks the city and the ocean, and the mountain range in the distance and saw the sunrise… the most beautiful sunrise I’ve ever seen. I just got back from surfing in Capetown -it’s a haven for great white sharks…. Amazing. We’re staying on the campus of University of Capetown with a friend who is abroad here for the semester. We leave early tomorrow for Mpopo, in a northern province of South Africa. Vacationers have been hesitant to book trips to Florida's Gulf Coast beaches, but now is the time to visit and VisitFlorida provides real-time tools to make your plans to places like Caledesi Beach (c) 2010 Karen Rubin/News&PhotoFeatures). Travelers so far have been hesitant to book summer vacations to Florida’s Gulf Coast beaches, as the BP Gulf Oil spill saga continues to unfold. So far, the beaches have remained as pristine and spectacular as ever, and Visit Florida, the state’s official tourism marketing corporation, has created an excellent network of real-time web-cams and on-site reporters so you can see conditions for yourself at the state’s beaches and destinations, on line in real time, VisitFlorida.com/FloridaLive (just click on the map) – muchlike the ski industry lets you see a real-time videocam to show conditions on the slopes. But the fact that the beaches are unspoiled is all the more reason to go now to experience these treasures. Like Venice, these treasures are not to be taken for granted. Places like Sanibel Island, Caladesi Island State Park, Clearwater Beach, and Naples. Some of Florida’s Gulf Coast beach destinations have gone so far as to offer liberal cancellation policies, such as the Beaches of South Walton, a destination located along a 26-mile stretch of Northwest Florida’s Gulf Coast and comprised of 15 picturesque beach communities, and white sand beaches and emerald green waters for which the region is renowned. It was named as one of the Top 12 travel destinations for 2010 by Frommer’s. (For more information about Beaches of South Walton, visit www.beachesofsouthwalton.com or contact the Visitor’s Center at 800-822-6877). The South Walton TDC and lodging partners are monitoring conditions with the BP Oil spill closely, and partners are developing generous travel policies should any of the beaches be impacted. Visitors are encouraged to contact their lodging provider directly to discuss specific policies and programs. To keep visitors informed about beach conditions and the county’s preparedness the TDC is continuing to post daily updates and images on www.BSWupdate.com, including information on a fully funded action plan to protect the destination in the event of oil reaching the shore. Florida’s Gulf Coast beaches are in many ways even more magnificent than its Atlantic Ocean beaches, and afford more ways to explore, experience and enjoy – there are the most magnificent nature preserves, world-renowned birding areas, and kayaking along designated trails. The Florida Live site provides a Googlemap of the state – visitors can click on twitter feeds from various destinations and be linked at the “hyper-local level” to get up-to-date local information. You can also find out about vacation deals and events. 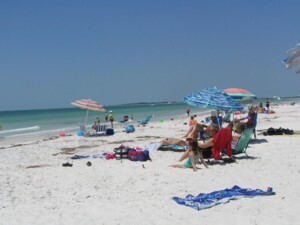 More complete information about Florida’s plethora of destinations, including beaches is available from http://www.visitflorida.com/ with links to real-time information about local destinations. You can click on the “Florida Live” tab to see photos and videos that are authentic, real (they are uploaded by local people). Visit Florida has also created a “Share a Little Sunshine” advocacy program: a fan page on Facebook that Florida residents subscribe to and invite people to Florida. The Lee County Visitor & Convention Bureau (The Beaches of Fort Myers & Sanibel) is the best source for trip planning (12800 University Drive, Suite 550, Fort Myers, FL 33907, 239-338-3500, 800-237-6444, http://www.fortmyers-sanibel.com, Email: VCB@leegov.com). It also has a link on its site for updates on the impact (or none) of the oil spill, which when we checked, had none and it was reported safe for swimming and fishing (http://www.fortmyers-sanibel.com/oil-spill). Naples, Marco Island & Everglades Convention & Visitor Center, 800 688 3600, 239-225-1013, http://www.paradisecoast.com, Email: info@paradisecoast.com. The Florida Keys & Key West tourism council has added a section to its www.fla-keys.com site to provide travelers up-to-date information on the TransOcean/BP Oil spill in the Gulf of Mexico. The site provides official National Oceanic and Atmospheric Administration oil slick trajectory maps as well as a Q&A section on the oil leaks. The 72-hour forecast maps are updated on a daily basis (visit www.fla-keys.com_. Also see our story: http://www.examiner.com/examiner/x-38705-Long-Island-Eclectic-Traveler-Examiner~y2010m6d1-Floridas-Magnificent–Gulf-Coast-Beaches-See-Them-Now.